• Empowered skippesimplified.com to minimize the use of paper in organization. This site provides access to all skipperites with selective authority to view SOPs, all documents in DMS, Brand Manual and HR related realtime information. Capex Implementation: In today’s world, the only way to maintain growth within the organization is investment with minimum borrowings. Skipper continued its strong capex spending in 2018 and is just as impressive. • Skipper house in Victoria Island Lagos become operational in September 2018. • Skipper new manufacturing plant for Switchgears & Transformers along with consolidated warehouse spread in about 50,000 sq mtr in Ikorodu- Lagos is under construction and will be fully functional by March 2019. • Construction Machinery and Cranes ownership capacity is being augmented as per ABP (Annual Business Plan) to optimize Civil construction capacity for our Transmission lines, substations and power plants under construction by Skipper Nigeria & it’s SPVs. • Power Transformers manufacturing capacity is already up-graded from 100MVA/220kV to 500MVA/765kV and Plant capacity from 3000MVA to 12,000MVA PA at Skipper Bhiwadi Plants by investing in test fields, cranes, production line and winding machines etc. Project Closures within CTC (Time and Budgets): Today’s mantra of success lies in managing projects within budgeted CTC (Cost To Company) and well before agreed timeline. I am personally committed to visit every active project site and meet the cost and timelines. So do I expect from my CXOs and PMs. I am happy to note that – Burkina Faso (Rural Electrification), Togo-CEB (3X161kV Substations), Bihar – India (14X132kV Substations), Bhutan (8X11kV Substations), Calabar CR (10MW- Diesel Power Plant) were completed and handed over to the owners during last 6 months. I wish to congratulate the PMs and CXOs in achieving these milestones. Open Houses conducted in SKIPPER MANUFACTURING & ENGINEERING in India: Open houses are conducted across skipper plants and offices annually. Recent open house sessions were conducted during November 2018 in plant (Supervisors & Above) and offices (Assistant Managers & Above) gave Corp. Hq. Management to realign with the workforce and many suggestions have been picked and approved by the board thus announcing the amendment in SOPs with immediate effect. Some of the suggestions are being implemented directly as such. Same practice is being adapted in African subsidiaries as well year on year. MDP & EDP (Management & Executive Development Programme): An agency of the international fame has been appointed to drive the programme and do the capacity building of our organic team within Skipper. The first batch of Nigerian subsidiary shall conclude latest by March 2019; thus bringing placement of the winners in higher positions within the group. We will continue to support our CXOs and PMs through cash flow and central support to ensure them meeting their targets. As we step into 2019, I would like to thank Almighty God for His continued blessings on our Group. We shall strive harder in 2019 at skipper to meet stakeholders’ expectations in deliverance, competitiveness & quality. Wishing all of you and your wonderful families, A very Happy, Prosperous & Healthy New Year 2019. 3rd International Day of Yoga was celebrated all over the world with immense enthusiasm. 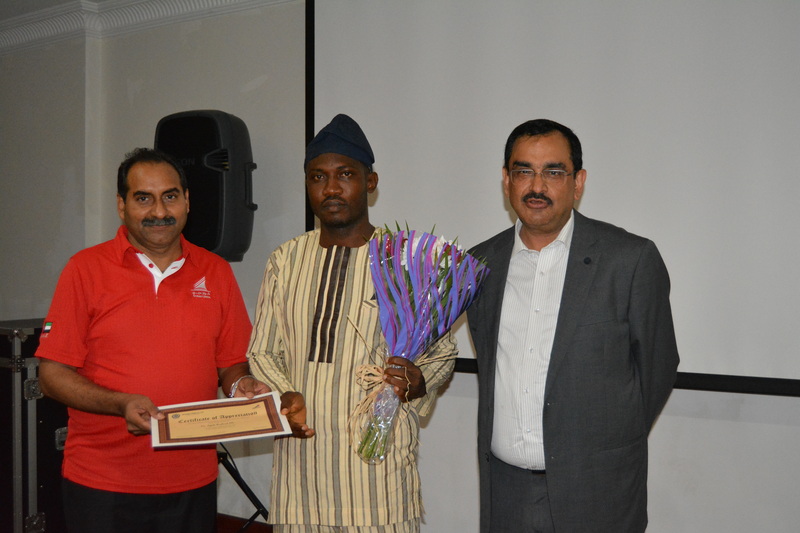 Skipper supported the IDY event held by the Indian High Commission in Nigeria and Ghana by sponsoring Yoga T-shirts and Mats with IDY logo. 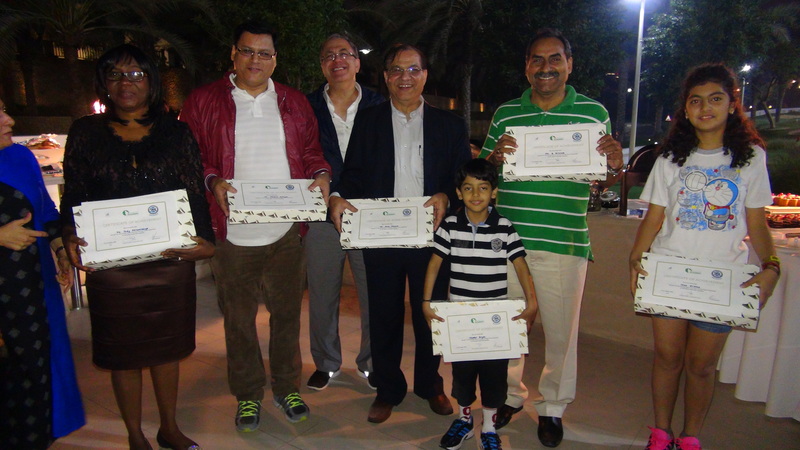 Yoga event was held to create awareness and benefits of practicing Yoga. Local dignitaries, diplomats, UN officials, members of the Indian community and eminent persons drawn from all walks of life were among the invitees who attended the event. 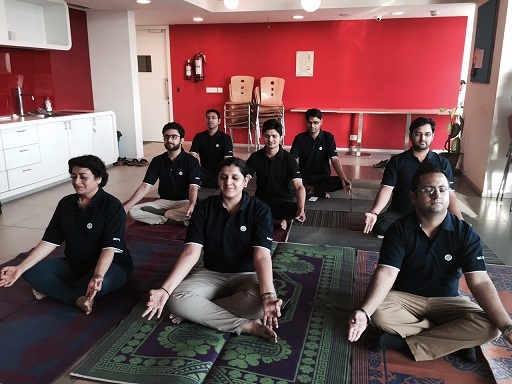 Apart from this, Skipper also celebrated yoga day across all its offices in India, Dubai, Nigeria, Ghana with employees participating in yoga sessions, assisted by trained Yoga instructors, “This initiative is aimed at encouraging our employees to adopt a healthier and balanced approach in life,” says Poonam Sachdeva, President & CEO, SkipperSeil Ltd.
New Year Message from Group President…..
At the outset, let me wish a very happy New Year 2017 to my colleagues, associates, friends and their families! Let the New Year usher in another happier, healthier and more prosperous year to all of us. In the blissful twilight of the year 2016, when the New Year is making its quiet entry, I would like to share a few of my thoughts with my friends. Skipper celebrated its 30th Annual day on 28th May, 2016 in Bhiwadi Rajasthan. 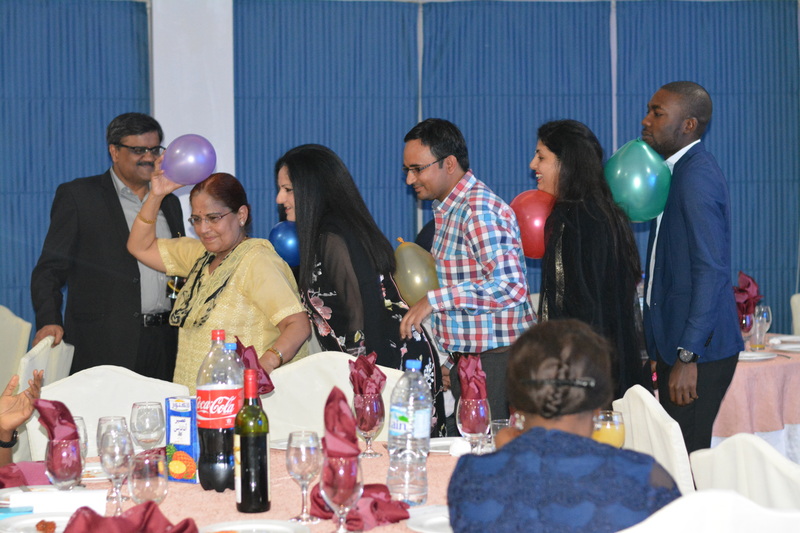 All employees, along with their families, came together to celebrate yet another successful year of the organization. The evening started with Lamp lighting ceremony by Mr. Jitendra Sachdeva, Group President along with Board of Directors, Chairman Eye-Q Dr. Ajay Sharma & his eminent board members, Director PowerMech-Mr. Jitender Kumar & his colleagues and other dignitaries from the industry. Many employees took part in the cultural performances which included Fashion show, Dance Performances, Singing and Interactive games. GP in his speech praised the employees for their dedicated and long term services in the company. 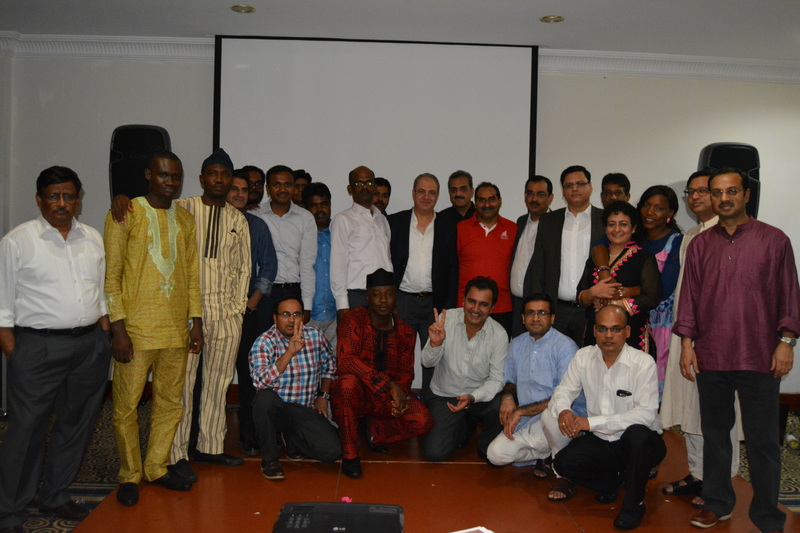 The function concluded with presentation of mementoes to the participants. 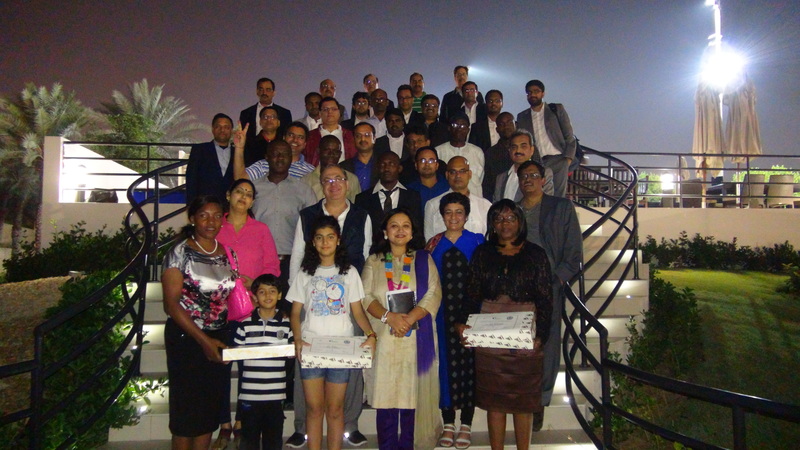 Skipperites from India, Africa and Middle East enjoyed an entertaining game of Golf Putting on 4th January 2015 at the Pearl Putting Course, Dubai Creek Golf & Yacht Club. The Group was divided into teams of 3, consisting of all ages and all levels of golf experience, and these teams competed for top honors in a 90 minute team putting championship at the scenic 18-hole putting course. 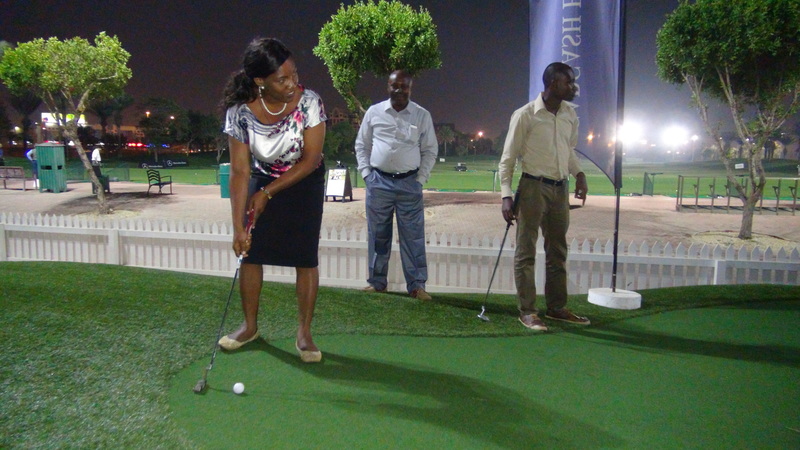 Golf professionals from the Dubai Creek Academy introduced participants to the game and the use of equipment and guided them around the course during the challenge. We congratulate the following winners of the golf putting event, who were awarded certificates of achievement and given exciting branded golf merchandise. 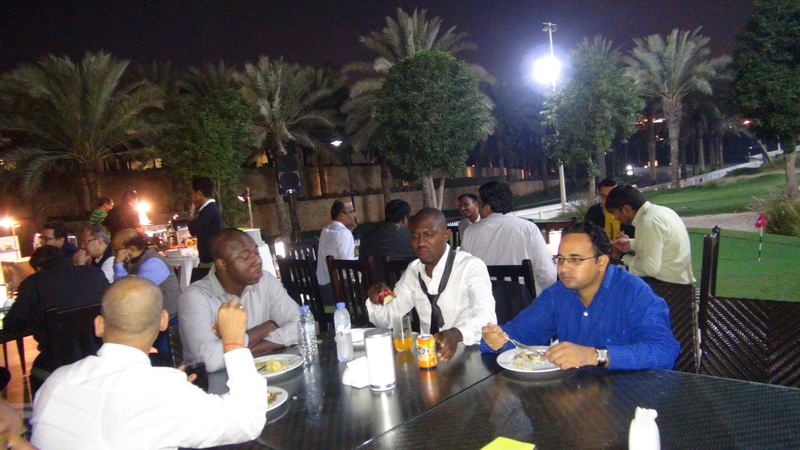 Mr. Arun Khanna, Advisor & Consultant, F&A – Skipper Electricals (India) Ltd.
Mr. Bhogaraju Srinivas, COO – Skipper Nigeria Ltd.
Mr. Deepak Kashyap, COO – Skipper Electricals (India) Ltd.
After testing their golfing skills with the golf professionals, the group relaxed and enjoyed a delicious buffet at the Academy Terrace next to the putting course.